Looking good and feeling good on the links doesn't have to break the bank when you take advantage of the fantastic deals we've got going in our golf apparel section. Name brand golf clothing is notoriously high priced when sold in your average golf pro shop, yet we sell that exact same stuff at costs you can actually afford and feel good about. 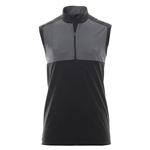 Whether you're looking for mens golf shirts, womens golf apparel or a functional yet economically priced golf windbreakers, you'll find it all here. Need polo golf shirts? How about large-sized Adidas Climacool Polos that list for $99.99, clearance priced at $29.99. These won't last long, but serve as an example of some of the great buys you'll find here at Golf Clearance Warehouse. Take your pick. We have 100% waterproof golf suits, golf jackets for men and women, golf shorts, hats and a complete line of name-brand sunglasses. the ultimate waterproof protection of up to 10,000mm Climaheat offers superior comfort Stay dry in the harshest conditions! 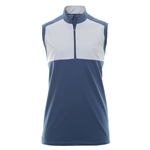 Anti-microbial finish Stylish Performance Color and Fabric Stay cool and dry throughout your round.